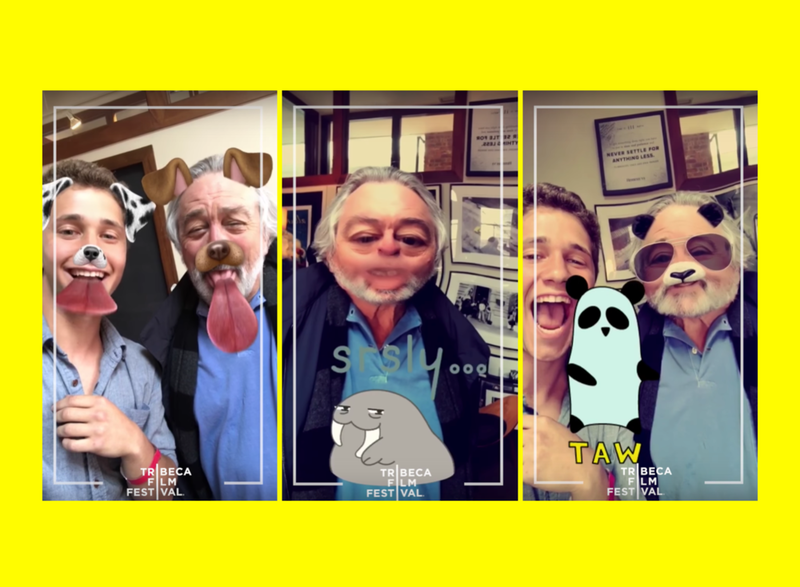 If Robert De Niro can learn Snapchat, you can too. No excuses! We previously explained why Snapchat is so confusing to use, and Tribeca Film Festival finalist in Snapchat Shorts, a filmmaker Alex Berry, has taken the 73 year old Academy Awards winning actor through the basics of doggy and panda filters, voice-changers, geofilters and other features that make Snapchat so fun to use. You might know that "There are three ways of doing things around here: the right way, the wrong way and the way that I do it” (Robert De Niro said as Sam "Ace" Rothstein in Martin Scorsese's “Casino”) and Robert De Niro definitely showed how to use Snapchat if you are a movie star. Robert De Niro's Snapchat game is strong now, how is yours?